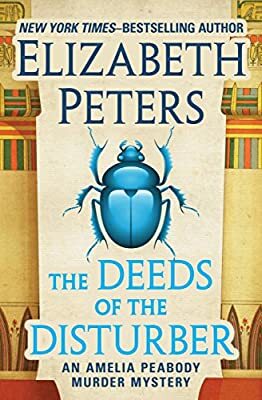 An Egyptologist investigates a death at the British Museum in a “charming” Victorian mystery by the New York Times–bestselling author of The Painted Queen (The Denver Post). Back in London after an archaeological dig, adventurous sleuth Amelia Peabody—“rather like Indiana Jones, Sherlock Holmes and Miss Marple all rolled into one”—discovers that a night watchman at the museum has perished in the shadow of a mummy case (The Washington Post Book World). From a recipient of multiple honors including the Mystery Writers of America’s Grand Master Award, this murder mystery set in Victorian-era England is a witty, rollicking, and “deeply satisfying” romp (Entertainment Weekly) in a “jewel of a series” (The New York Times Book Review).